Founded back in 2011, 1xBet is one of the bookmakers that have made a reputation for themselves. With a license from Curacao, the bookmaker enjoys a good player base. Today, the company is targeting a new and challenging sector – competitive video gaming, which we will refer to as esports. Apart from offering bets, though, they also support digital athletes. 1xBet struck a new partnership with CS:GO squad HellRaisers earlier in 2018. The offer is already significant and it’s even slightly better than some mainstream spots, giving esports a central place at 1xBet. The bookmaker covers a number of major events, from the DreamHack festivals, to the Dota 2 Majors, to League of Legends’ Championships. There are inherent advantages if you decide to choose 1xBet as your esports betting home as well as there are some specific things you need to pay attention to first. Just like any other bookmaker, 1xBet runs a generous offer relying on a rich portfolio. Promotions aren’t earmarked for mainstream competitions only, and you will find the esports welcome offer to be equally useful if you are looking to wager on the outcome of any of the featured games here. Each bonus, including the welcome package, includes a Promo Code that needs to be used to let the bookmaker know that you would like to have the funds credited to your bankroll. To avoid doing all of this manually, you can simply follow one of our links, which will land you directly in the registration form. 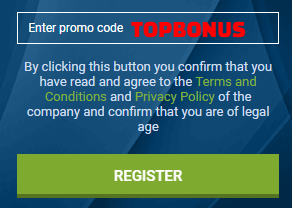 Then insert promo code TOPBONUS. The offer constitutes a matched bonus, meaning you will be complemented 100% on your first deposit, up to a total of €130, or any currency equal to that. It may seem like a modest sum, but 1xBet has quite a few treats available, so why not start by breaking in simple? Sign-up Offer – What are the Terms and Conditions of the Bonus? Obtaining the bonus, as we’ve said, is in fact quite straightforward. All you need to do is set up an account, fill out the promo code and register. However, there are qualifying criteria here, not so much for obtaining the bonus but rather – for cashing out all your winnings. Asking gamers to approach accumulator bets to play through their bonus is not too bad at all. Esports fans usually have a great grasp of events and they can benefit from placing multiple stakes. If you are the sort to keep up with a number of teams, the accumulator bets could just be the right way for you to cash out extra winnings. The markets tend to change, but 1xBet prefers to add rather than subtract from the list of titles it has to offer. The odds and events may fluctuate a bit, but you will generally be presented with an excellent collection of gaming options, allowing you to place winning wagers. Known as In-Play betting, 1xBet is no stranger to the joys and thrills of following a competition in real-time and providing a market for this sort of bets. Esports make no exception at 1xBet, and the bookmaker will help you follow through with your favorite events. Now, unlike the general offer, you will notice that the events here are fewer, but they still feature the top competitions. In plain words, you will always have a CS:GO bet to place or a LoL competition to follow so long as there are any high-profile events taking place. Verification is paramount at any bookmaker, but absolutely so with 1xBet. As part of their licensing policy, they are obligated to comply with the mandated KYC and anti-money laundering practices, which means that, you will need to verify your identity, confirming both your identity and residential address. Note that you will still be able to settle minor deposits and withdrawals even without having confirmed your identity. Basically, the bookmaker will want to know that you are who you claim to be and of the legal age to undertake gaming activities on your own. There have been multiple cases, however, in which 1xBet could ask you for additional documents or sending the documents and also request you to send physical copies. Each section features several options each, bringing up the total to well over 60 different payment solutions! Processing times are instant, meaning you can fund your account immediately without going through any extra hassle. We do strongly recommend checking out the available payment solution directly on the bookmaker’s page as it will help you to keep track of any changes. Unfortunately, 1xBet does not offer deposits with Paypal any more, but you can consult what other bookmakers accept paypal here. The minimum qualifying deposit you can place is $1.5, and there seems to be no limit presently to how much you can place. Still, we advise to always be cautious and check with third-party reviewing services, which take a look into the past financial transactions of the bookmaker. Our own investigation has shown that depositing is one of the easiest operations on the bookmaker. Small amounts need no verification, but for anything more significant, you will need to confirm your identity upfront to avoid headache later. Presently, there are no ceilings on the maximum amount you can withdraw. However, cashing out larger sums of money will always merit a bit more attention on the part of the bookmaker. In order to comply with their internal security checks, 1xBet will often ask you to confirm your identity first. This is why we recommend to always seek to settle the legal end of things first. Presently, there are no fees that apply when cashing out with any of the aforementioned methods who also serve as depositing options. To withdraw funds from your account, you will need to refer to My Account which is located right above the website’s navigation. From there, you will have to move to the “Withdraw Funds” tab, which will provide you with all available payment solutions. The processing time usually takes a few minutes (normally no more than 15) and up to 24 hours. Keep in mind that some methods may not be available in certain jurisdictions. If you have come to the decision to suspend your account, you may choose to do so by contacting customer service. While we are not sure about whether you can do it over the phone, you certainly can open a live chat window or send the bookmaker an e-mail. With this in mind, if you think you will be inactive for a while, then you can just ask for a temporary suspense, or better yet – take no action. As far as we could see, 1xBetwill not suspend accounts that have gaming history on them. Besides, by choosing to keep your account, you will save yourself the trouble of confirming your identity later on. 1xBet offers a rich variety of markets, odds, and game titles to bet on. The promotions are fair and easy to accomplish, guaranteeing that you can add a bit of extra money to your betting efforts. There are a few things to be aware of when staking big money, as the identity verification process can be a bit lengthy. However, as long as you sort this out first, you will never have a thing to worry about. Enjoy your wagers at 1xBet! This review was last updated on January 9, 2019.